Since the economic recession, work and productivity within the construction industry has gradually started to increase. However, as productivity increases, so does the competitiveness of the market; more construction firms compete for work so firms must ensure that they are sourcing the right equipment for the right job – at a competitive price. As more firms saturate the market, demand and prices for equipment also start to increase – increasing contractor operating costs. If a firm is working on a short-term project, or a one-off job, it is usually better to rent equipment for the amount of time that it is required. The reason for this is that it benefits the firm’s cash flow, as they are not making a significant one-off payment. Also, the firm does not have to absorb long-term repair, operating, and storage costs for the equipment being hired. However, from 2012 to 2015, the combined annualised price growth in rental cost of cherry pickers, earthmoving machines and forklifts was set at 5.5% and between 2015/18 this is set to grow by 1.9% at 7.4%. This suggests that renting equipment isn’t getting any cheaper anytime soon. However, construction firms can make a saving when renting when the equipment is specifically utilised for a required job. Renting the wrong equipment, or equipment that is not fit for purpose, can cost a construction firm time and money when working to deadlines. This is why construction firms are now more and more reliant on third-party services that can help assist them in getting the right equipment that will aid the performance of a job in the most cost effective and efficient manner. For example, Reconomy – specialists in servicing recycling solutions for the construction industry – can help firms with skip hire and site equipment hire that allows them to rent based on the client’s specific on-the-job requirements, so that the equipment is rented at a cost-efficient price for the right job. Project-specific rentals are desirable for many reasons, as they can save a firm time and money when working on a job that may not be repeated. Whilst being tailored to the requirements of the job, they can provide the highest amount of utilisation possible, based on each machine that is rented if it is used properly. Furthermore, if a firm has many jobs operating simultaneously, then companies don’t have to incur the same logistical costs as those who purchase their equipment and move it from site to site. This makes project planning less time-consuming – as those foreseeing the completion of a job can account for the specific nature of the equipment needed, as the nature of each job changes. Although the annualised price growth of buying equipment from 2012/15 to 2015/18 fell 0.5% from 10.1% to 9.6%, this is still 2.2% more than the projected forecasts of annual rising rental costs. What this suggests, is that construction firms will need to establish whether the equipment they purchase will be able to perform all the necessary jobs on-site through the course of the machine’s lifetime. If it can’t perform a specific task, or a container isn’t fit for the job, then the firm could waste capital on purchasing tasks. 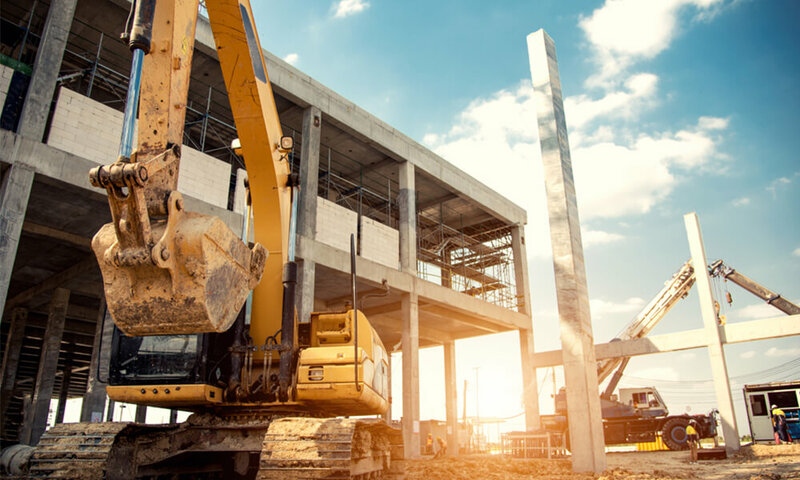 It is more than likely that when it comes to more project-specific construction – firms will be more willing to rent a machine that benefits the bespoke nature of a job, rather than purchasing a machine that is less specific in its job-scope and specification.